Martha Coakley could announce her intentions as early as Monday. With all signs indicating that Attorney General Martha Coakley is set to announce a run for governor as early as Monday, her popularity among voters would make her a formidable candidate. But three years after her loss to Scott Brown, Coakley still faces large pockets of resistance from Democratic Party leaders and activists who have not yet forgotten her disastrous performance. A person familiar with the planning said Coakley is in the final decision stages and could make an announcement first thing next week. Once in the race, Coakley would be expected to quickly move to the front of the pack. As a two-term attorney general, she is a well-known statewide figure who in the last several years has reinvigorated a political career nearly destroyed by the failed 2010 Senate bid. She would also enter the campaign with the backing of several politically formidable women’s groups, including EMILY’s List, that will raise huge amounts of campaign cash on her behalf. For those who saw firsthand the Coakley collapse in the race against Brown, however, the prospect of her leading the 2014 Democratic ticket is cause for concern. Lou DiNatale, a Democratic strategist and pollster, said that while Coakley has done a remarkable job of politically rehabilitating herself, he picks up a persistent undercurrent of negative chatter that began over the summer when she first signaled her interest in a gubernatorial campaign. Party activists, both Republican and Democratic, can play a critical role in elections. They are the on-the-ground workers who can create a sense of excitement around a campaign, particularly in the early stages of a race. Deval Patrick focused heavily on courting grass-roots activists, a strategy that gave his insurgent candidacy the energy to pull off an upset in the 2006 gubernatorial primary and a landslide victory in the general election. Coakley’s biggest selling point to party leaders is her standing in the polls. For example, a statewide survey of 500 voters taken by pollster David Paleologos this summer showed Coakley faring far better against the likely GOP nominee, Charles D. Baker, than other potential Democratic nominees, including state Treasurer Steve Grossman. Her favorability rating was 56 percent, statistically tied with Brown and Patrick, who have long been considered the two most popular politicians in Massachusetts. A broad consensus among party insiders, most of whom did not want to be quoted by name for fear of looking disloyal to a major political officeholder, suggests that the jarring experience in the Senate race is creating ripples of consternation within the ranks. “I think she’s going to get a very chilly reception,’’ said one prominent Norfolk County Democrat who did not want to speak publicly about the angst about Coakley’s candidacy. Coakley’s only serious courting of the party regulars came in July, at the party’s annual convention in Lowell, where she got a warm reception. But, she has for the most part avoided smaller summer conclaves: the barbecues, picnics, and living-room caucuses that mark off-year party activity. Those events can draw as many as 100 or more activists who are the core of the party infrastructure. Her absence is a perceived slight that has not gone unnoticed. Norma Shulman, the Democratic state committeewoman from Framingham who is backing Grossman for governor, said that while Coakley’s high-profile accomplishments as attorney general since the 2010 race have defused much of the anger that had been directed at her, she still faces hurdles within the party ranks as she ponders another statewide race. “I know there are activists who are very jaded from the failed Senate race, but there are also activists who are very pleased with the work she is doing as attorney general,’’ said Shulman. Even Democrats who admire Coakley acknowledge there is some lingering unease toward her as a gubernatorial candidate. But they insist that she has worked hard reconstructing a political career that appeared to be on life support after the Brown victory. One of them — Gus Bickford, a Democratic consultant and former executive director of the state party — said that he finds himself making the case to skeptics. Coakley, he tells them, has burrowed back into her job as attorney general, focusing on a host of important issues such as marriage equality, human trafficking, and domestic violence, subjects that resonate with most of the party’s activists. 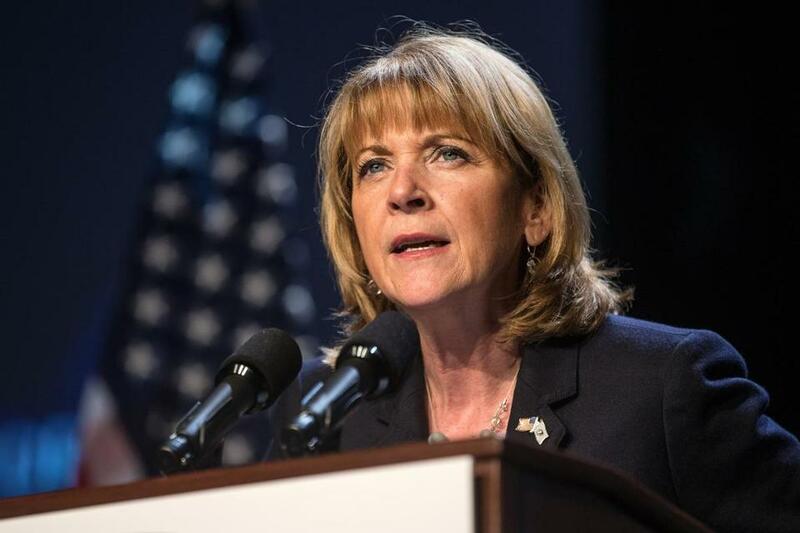 Beyond the 2010 fallout, Coakley faces the same challenges as previous attorneys general who have tried and failed to parlay the job into a successful run for governor. Despite her popularity, she will face a viable Democratic field in the governor’s race. A Coakley run would also mean that Democrats risk losing control of the attorney general’s office as hopefuls from the left and the right line up to replace her. Already, Secretary of State William F. Galvin has told several Democratic insiders that he would take a serious look at the race.